New 2015 version - Buy Original Innokin iClear 30B Coils only. Cheaper prices only indicate fake copy. BEWARE. 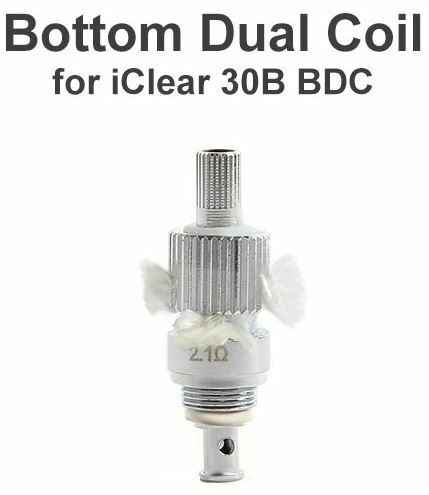 These are replacement dual coil head specifically designed for Innokin iClear 30B Dual Coil Clearomizer. It will NOT work with iClear 30S set. NOTE: Price per single unit/coil/piece (Not for the pack) as it comes in pack of 5 units please order in multiple of 5.